Award winning journalist John Metaxas speaks on “The Life of a Journalist and the Obligations of a Citizen in the Time of Trump.” John touches on his time covering Trump at ABC News and CBS, the saga of Marvin Roffman, the importance of truth, his studies with Fred Friendly, the lessons he teaches his college and graduate students who ask whether the news is fake and offers some thoughts on resistance. A lively Q&A follows. 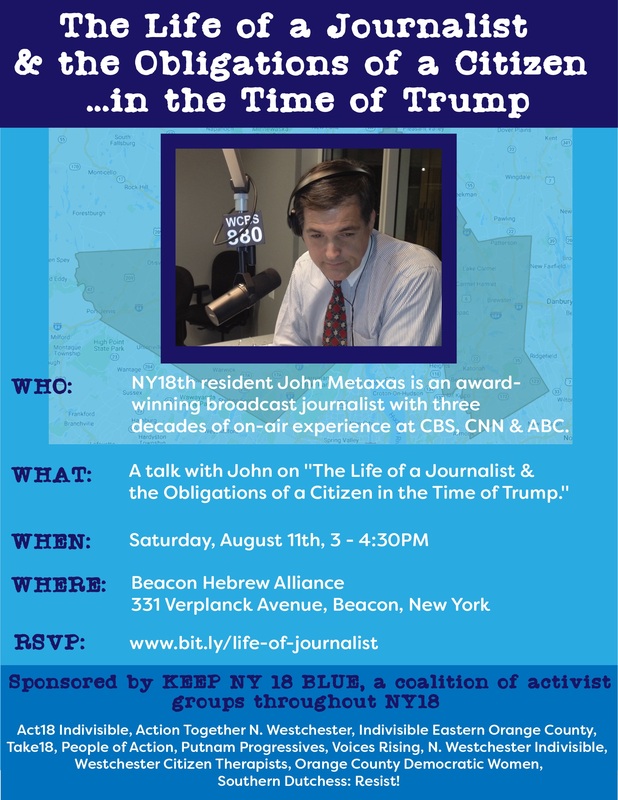 The talk was delivered at the Beacon Hebrew Alliance in Beacon, NY, on August 11, 2018, the weekend anniversary of the deadly march on Charlottesville. Runs: 1 hr. 20 min.